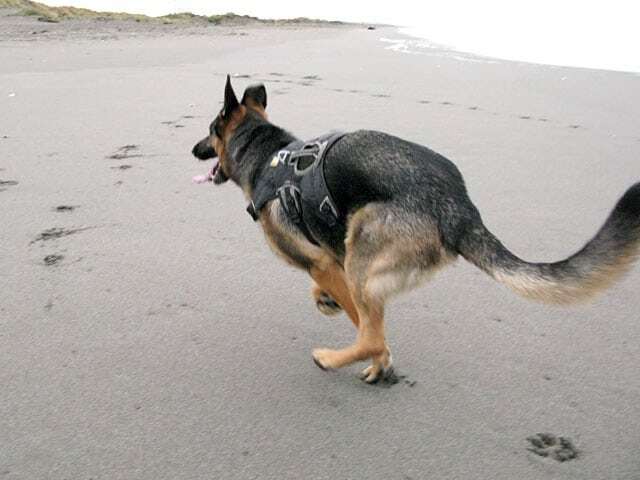 Is joint health maintenance high on your priority list for your three-legged hero? If not, it needs to be. 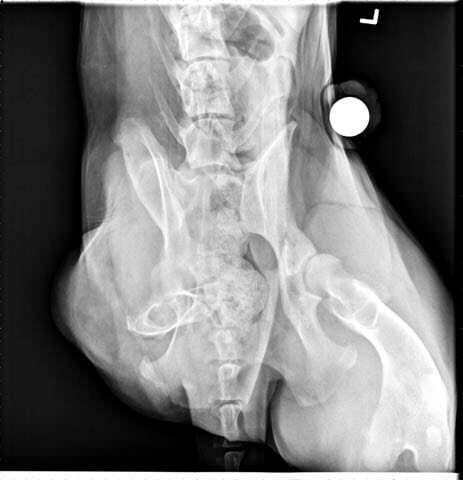 Because while Tripawds can do anything that their four-legged counterparts can do, rehabilitation veterinarians warn us that dogs on three legs will definitely pay a higher price in time, especially if we don’t pay close attention to signs of joint pain and arthritis. It’s our responsibility as Tripawd pawrents to do all we can to minimize the risk. The good news is that it’s never too late to take steps that will ease the aches and pains of life as a three-legged dog. Monitor your dog’s activity levels: three-legged dogs should never be allowed to participate in ongoing “explosive” activity like the stop-and-start chasing and racing around that goes on at dog parks. While they’re having a ball doing so, the stress it puts on joints is too much for them to handle over time. Instead, force your dog to take a break for a few minutes while hanging out with his buddies. Whether three or four-legged, never let your dog jump in and out of vehicles. While it’s a a joyous thing to see your amazing hero successfully jump in and out of your car, the sudden and ongoing impact of landing on concrete can cause damage. Purchase a harness to aid your dog in getting in and out of your vehicle. Finally, introduce a daily supplement like NaturalStride Hip & Joint Dog Chews to help protect your dog’s joints from excessive stress. 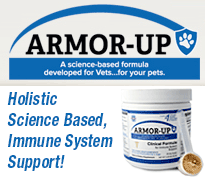 Do you currently use a supplement for your Tripawd? If so, why or why not? As we recently shared with you, #NaturalStride supplements provide a healthy, natural way to protect the joints and ease the aches and pains associated with arthritis. 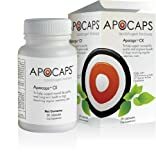 Made with Tripawd-recommended holistic pain relief ingredients like yucca and cetyl myristoleate, an anti-inflammatory, pain reliever and immune system modulator, Natural Stride provides the kind of protection a Tripawd needs against long-term joint stress caused by normal everyday activities. 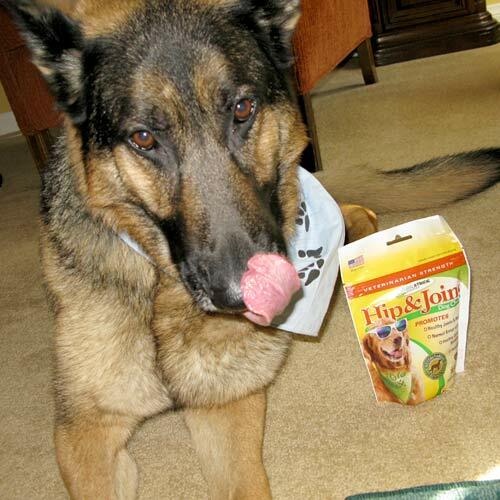 We’ve been testing this supplement out on Tripawds Spokesdog Wyatt Ray, who at age five years old, already shows signs of hip displaysia. 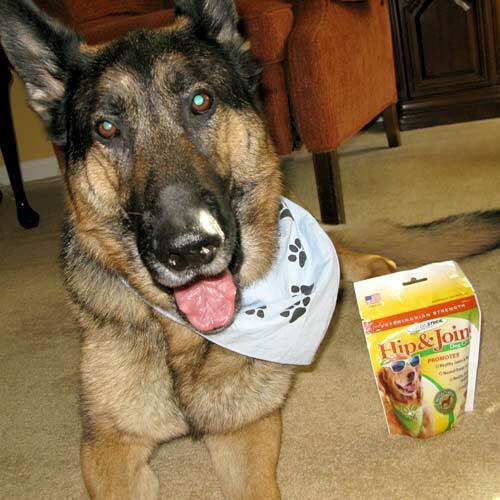 Wyatt was so excited when we received these glucosamine treats! He grabbed them out of our hand so quickly, we didn’t even get to use them as training treats! We had to hold back; since one treat per 25 pounds of body weight is the recommended dosage, our 80-pound Wyatt would gobble these up in no time! 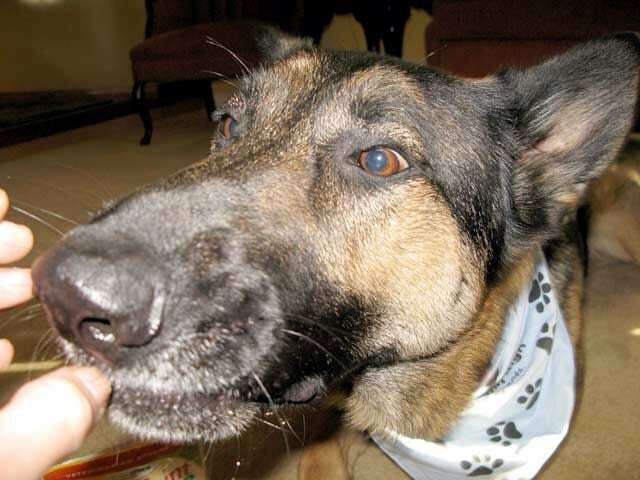 Instead, we prefer their daily powder supplement and enjoy using the chews as incentives for good behavior. Natural Stride guarantees you’ll see results in days, not months. They’re so confident they offer a money-back guarantee if you don’t see improvement in your dog’s mobility. 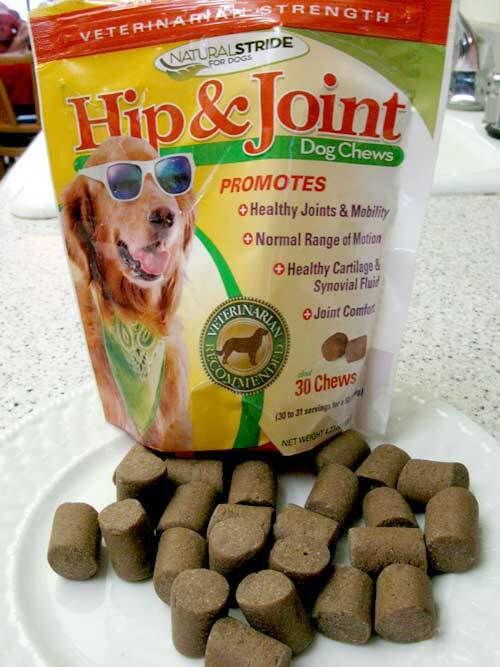 Protecting our Tripawd’s joints is an easy thing to do now, to avoid huge vet bills later. This post is sponsored by Natural Solutions for Life on behalf of the BlogPaws Blogger Network. 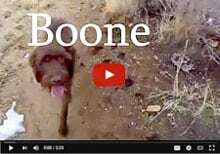 We are being compensated for helping spread the word about Natural Solutions for Life’s Natural Stride Supplement, but Tripawds only shares information we feel is relevant to our readers. Diamond Naturals is not responsible for the content of this article. OMG i LOVE Wyatt’s face in this pic! 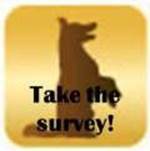 Just saw this…will come back later and do the survey and most likelyorder the chews too! Just wanted to say what a “treat” it is ALWAYS to seethat magnificent Wyatt Ray!! He is soooooo handsome! I really like the idea of the powder; something that I can mix into our dogs food. This is also the first “treat” that is strong enough to be effective. 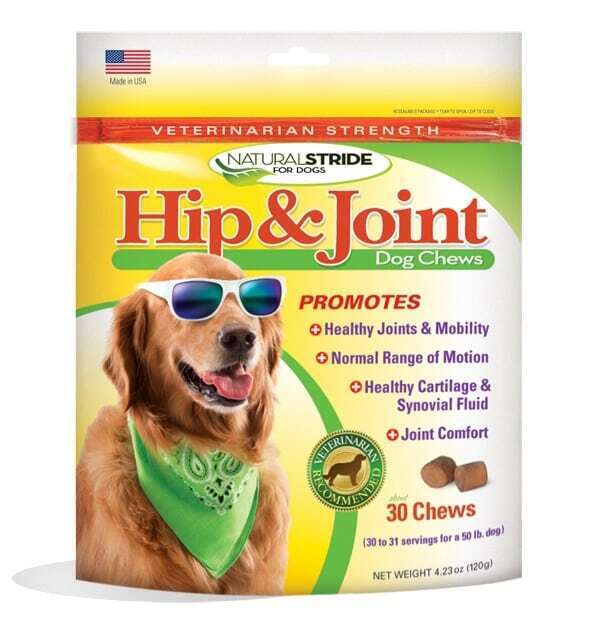 I wish glucosamine treats that didn’t really help with joint support couldn’t claim that they do. It’s nice to have something I can refer to my friends.